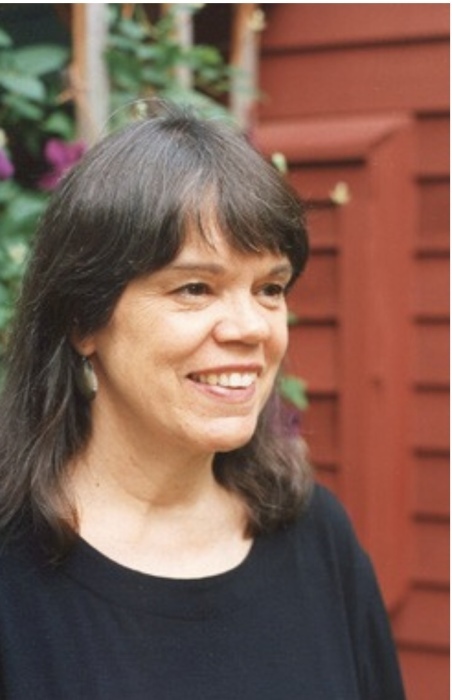 Jean Marzollo, award-winning author of the best-selling I SPY series and over 150 books for children, died peacefully of natural causes in her sleep at the age of 75 on April 10. She lived in Cold Spring, New York with her husband Claudio. Jean Martin was born on June 24, 1942 in Manchester, Connecticut to Richard & Ruth Martin. She grew up with two older siblings, Allen and Katherine. After graduating from Manchester High School in 1960, Jean earned a B.A. at the University of Connecticut in 1964 and a Masters in Teaching at the Harvard Graduate School of Education in 1965. In front of the classroom or on the page, Jean was a born teacher. After earning her Masters, she taught high school English for a year in Arlington Massachusetts, and then became assistant director of Harvard’s Project Upward Bound in 1967. Later that year, she moved to New York City, working on early childhood development projects for the General Learning Corporation and getting to know sculptor Claudio Marzollo. They were married in February of 1969. Her tremendous sensitivity to children and crackerjack ability with words led the National Commission on Resources for Youth to name her their Director of Publications in 1970. Around that time she started, along with a few friends, an educational company to write materials for, and about, children. With this company she wrote the first parent/teacher guide to Sesame Street when it debuted on PBS, as well as articles for Parents Magazine, Redbook and other parenting magazines. In 1972, her first book for parents, entitled Learning Through Play, was published by Harper & Row. That same year, Jean became editor of Scholastic’s “Let’s Find Out” monthly school magazine for kindergartners, a job she loved for twenty years. It was here Jean worked for the first time with many wonderful artists and friends she collaborated with for the rest of her career. Jean’s love of rhythm and rhyme led to her first published children’s book, Close Your Eyes, (1978) illustrated by Susan Jeffers. To the delight of readers young and old, she went on to write over 150 more children’s books. Among her own favorites were Pierre the Penguin, The Little Plant Doctor, Soccer Sam, Mama Mama/Papa Papa, Happy Birthday Martin Luther King, and the Shanna Show books. Jean is, of course, best known for the best-selling I Spy series with the photographs of illustrator Walter Wick. Scholastic published the first I Spy book in1992. Seven more I Spy classics would follow: I Spy Christmas (1992), I Spy Funhouse (1993), I Spy Mystery (1993), I Spy Fantasy (1994), I Spy School Days (1995), I Spy Spooky Night (1996), and I Spy Treasure Hunt (1999). These original classics have been published in over 20 different languages worldwide. Spin-offs include 6 more I Spy Challengers, 18 easy readers, 10 board books, a phonics fun box set, a sticker book, board games and puzzles as well as interactive games for Nintendo Wii, Nintendo DS, Leapster, CD/ROMs for PC and Mac. The I Spy book series was even the inspiration for a television show on HBO Kids. For a time, I Spy Pudding could be found at your grocer. After the great success of I Spy, Jean began illustrating her own books, retelling and illustrating five Bible stories, three Greek myths, and writing and illustrating two counting books for preschoolers: Ten Little Eggs and Ten Little Christmas Presents. Jean and Claudio moved from New York City in 1976 to raise their two boys, and became very involved in their beloved Philipstown community. During the 1980s, Jean was a member of the Haldane School Board for 8 years, including 2 years as its president. She was a founding vice president of the Haldane School Foundation and one of the founders of the Philipstown Depot Theater. In 1996, she was awarded the Alice Curtis Desmond Award for Children’s Literature at the Desmond-Fish Library in Garrison. Most recently, in November 2017, the Butterfield Library named and dedicated its new Children’s Library to Jean. In addition to her busy life of writing, illustrating,and school visits throughout the United States, Jean was often seen on Main Street “buying local” before it became a slogan. Jean is survived by her husband Claudio, her son Dan, her son David and his wife Melia, their children Gabriel, Westley and Simon, as well as her brother Allen, her sister Katherine, her niece, three nephews and six grandnephews. In lieu of flowers, donations may be made to The Jean Marzollo Children’s Reading Room at Butterfield Library or St. Mary in the Highlands in Cold Spring. Friends and Relatives are invited to call on Friday April 13th at Clinton Funeral Home 21 Parrott Street, Cold Spring from 3-7, A funeral service will be at St. Mary’s in the Highlands, 1 Chestnut Street, Cold Spring on Saturday April 14th at 3:00.